Reaction to the news that Michele Bachmann’s husband Marcus ran a clinic that engaged in “ex-gay therapy” – directing gays and lesbians to God and prayer to “cure” them of their sexual orientation – has been predictable. While a large swath of the country is understandably shocked and suspicious that a candidate for president would be connected to such a medieval practice, her defenders have instead blamed criticism of the practice on – you guess it! – the media, liberals, homosexuals, and Washington. “Some therapists who undertake so-called conversion therapy report that they have been able to change their clients' sexual orientation from homosexual to heterosexual. Close scrutiny of these reports, however show several factors that cast doubt on their claims. For example, many of these claims come from organizations with an ideological perspective that condemns homosexuality. Furthermore, their claims are poorly documented; for example, treatment outcome is not followed and reported over time, as would be the standard to test the validity of any mental health intervention. It’s here that we get to the crux of the matter. In both the AMA’s and APA’s positions on this matter, what discredits this kind of therapy from the start is the socio-cultural bias from which its practitioners approach homosexuality. In the APA’s words, these therapies just so happen to be connected with organizations “with an ideological perspective that condemns homosexuality.” The AMA likewise notes that it is “based upon the a priori assumption that the patient should change his/her homosexual orientation.” In short, these are professional organizations engaging in and reflecting the peer-reviewed, scientific consensus of their disciplines, as opposed to traditionalism with a gendered ax to grind. In any professional organization in the modern world, beginning any examination of an issue with an ideological presupposition automatically discredits it. So why do Perkins et al. simply reassert that this is not a discredited form of therapy? The same reason many of his ilk also flatly assert that the theory of evolution is somehow shaky science, when in fact the scientific community is in consensus about it. The same reason they claim that climate science is in doubt, when that same community has also reached consensus about that. The same reason they often claim that the Bible is literal, historical, fact, as opposed to the consensus in the scholarly field of Biblical criticism (not to mention any mainline denomination), which has ably demonstrated it is anything but. It’s the same reason they claim that the Founders of America were fundamentalist Christians cut from the same cloth as they are more than 200 years later, and that Washington, Jefferson, and Adams no doubt subscribed to the same social, cultural, and political mentalities as they do now, despite the gulf of years that makes the past a foreign country to any legitimate, professional historian. It’s the same reason many of them claim that marriage and family are the same static institutions they’ve always been, despite a host of sociological and anthropological observations to the contrary. Do people on the Left subscribe to narratives that conflict with scholarly consensus? Most certainly. But it is hardly as widespread or lockstep a phenomenon. 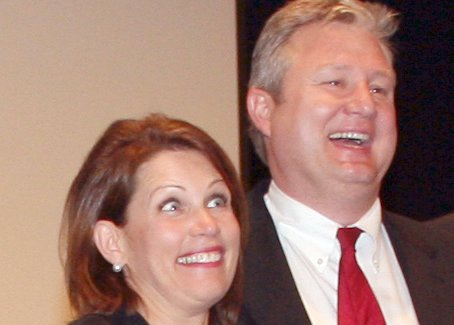 On the Right, meanwhile, this trope of denial is such a major aspect of their overall machinery that Perkins can comfortably make a statement in defense of Marcus Bachmann that is diametrically opposite from what the reality is, without any real fear of contradiction from his compatriots. After a while, one would expect them to ponder why it is that their ideologies are so often in conflict with the professionals who practice and study the matters around which they define themselves. One would expect them to grow tired of constantly forming elaborate reasons as to why their ideological framework is correct and the facts and evidence presented to them are wrong, especially considering how often they defer to professionals in every other matter of their lives (what to do about a broken-down car, how to file their taxes, what medicine they should take for heartburn, etc.). The APA has literature on that as well: under its entry on cognitive dissonance.